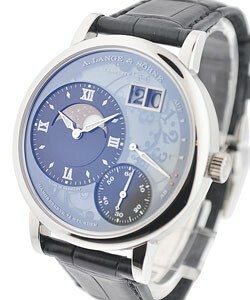 This watch is also known as: 190.025 , Model109.025 , 109025 . 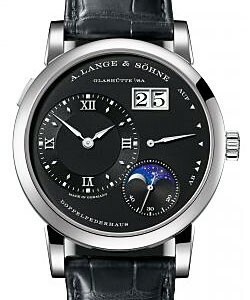 One of the most versatile timepieces ever to produce by A. Lange and Sohne, this A. Lange & Sohne Lange 1 Moonphase Model # 109.025 is sporting a self-winding manual movement mechanism. 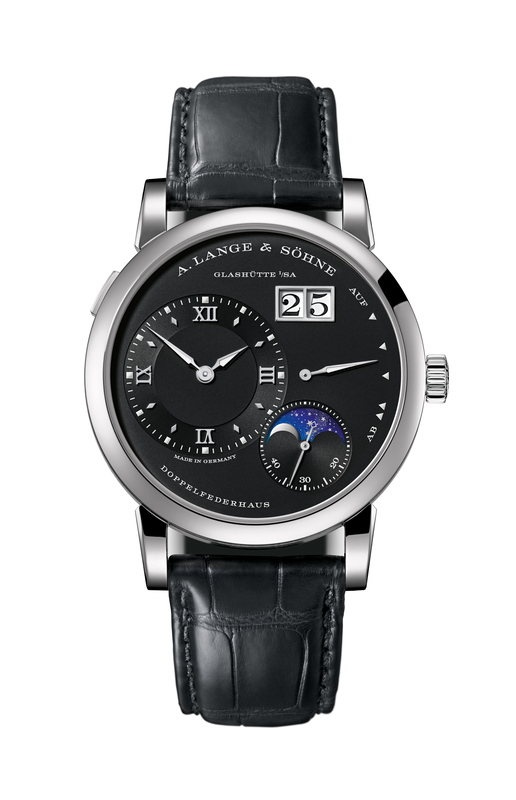 Relevant in the Success of the Moonphase collection, this A. Lange & Sohne Lange 1 Moonphase Model # 109.025 is enclosed in a platinum case with a diameter of 38.5mm and thickness of 10.4mm. 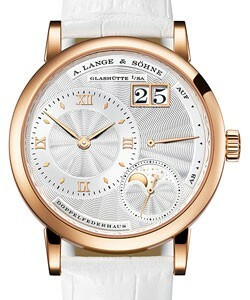 This precious watch features a Rhodium colored face dial made of solid silver, with embedded Roman numeral and hour markers. 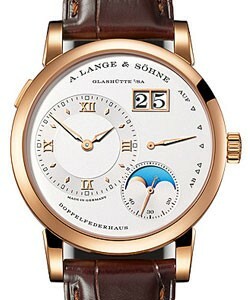 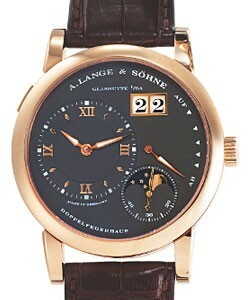 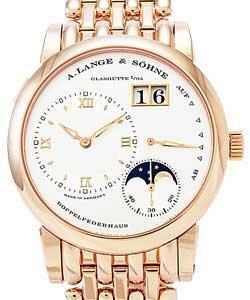 This A. Lange & Sohne Lange 1 Moonphase Model # 109.025 is sporting a moonphase set inside the seconds subdial. 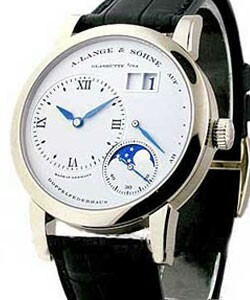 The moonphase is not the same fro the conventional moonphases because this is connected to the seconds hand and advances on a full revolution per lunar cycle. 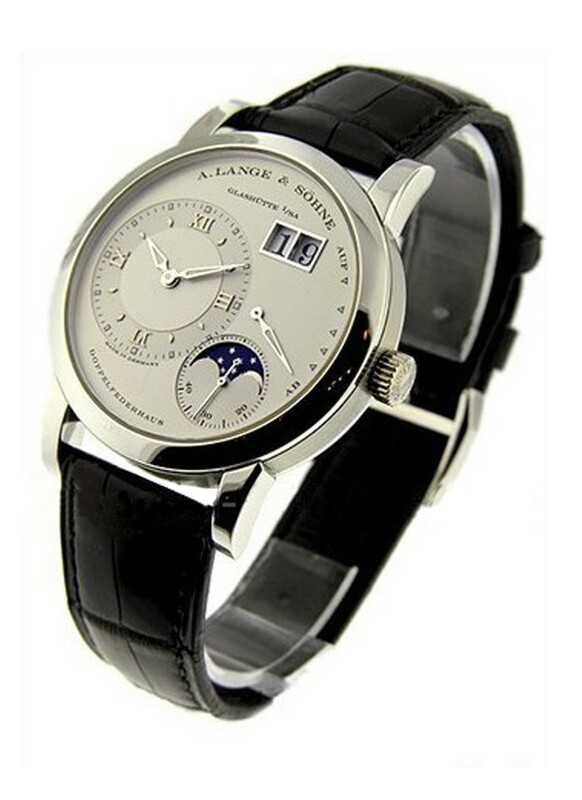 Attached to a genuine crocodile pattern leather, this A. Lange & Sohne Lange 1 Moonphase Model # 109.025 is supported by a tang buckle.